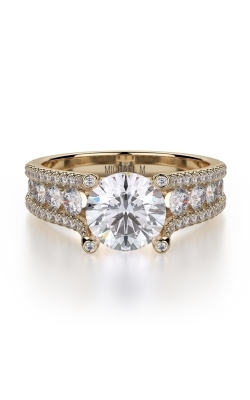 The round shaped ring is one of the most popular engagement ring shapes due to its fire and brilliance. 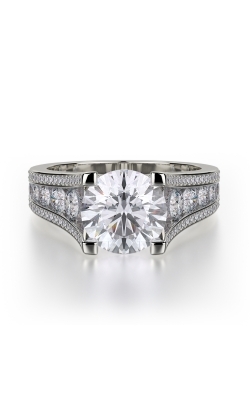 Round Cut Engagement Rings are able to refract light in an elegant and hypnotizing manner. 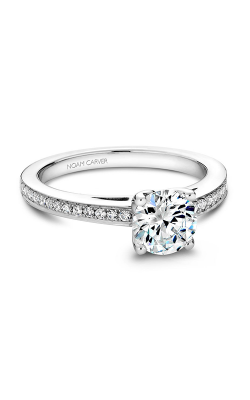 The cut includes 58 sparkling facets and can be paired with additional brilliant side stones. 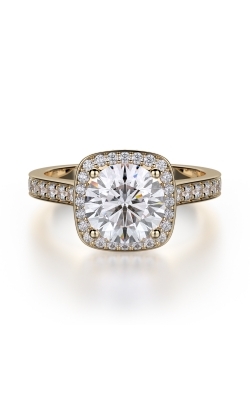 Since Round Cut Engagement Rings are highly sought after, there are seemingly endless options to choose from. 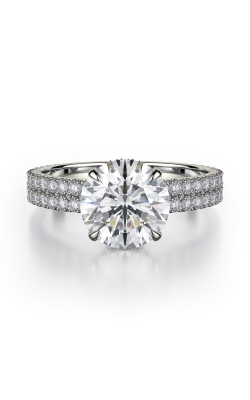 Typically set with an open four prong setting, a round cut diamond is exposed to a great amount of light. Other popular round shape settings include six prong settings for larger round cut rings or the modern bezel setting. 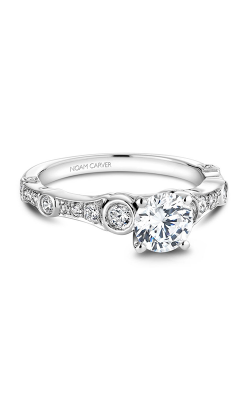 No matter what setting you have on your round cut ring, youâ€™ll cherish its timeless design and romantic appeal. 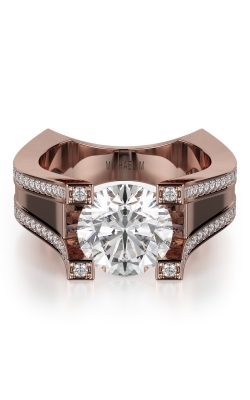 MJ Christensen carries popular collection from todayâ€™s finest engagement ring designers including Hearts On Fire. 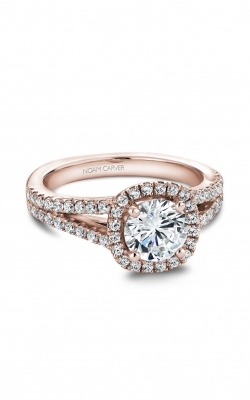 Their Lorelei collection features a unique blend of timeless and contemporary details and a distinctively feminine touch. For an edgier vibe, look no further than Lashbrookâ€™s Camo. 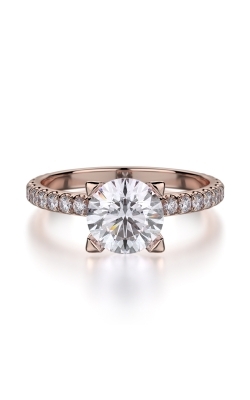 This collection includes warm earth tones and an eye-catching tension set diamond. For a round cut ring with an Old World feel, turn to Michael Mâ€™s Europa collection which features side stones going down the vintage-inspired shank and bold diamond settings. 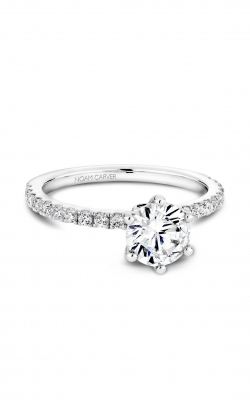 If youâ€™re looking for delicate and time-honored designs, explore Noam Carverâ€™s Classic collection. This line of nostalgic round rings include simple, yet elegant designs. 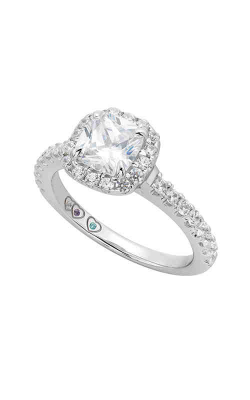 Peruse through Ritaniâ€™s popular Masterwork collection to find bold and daring round cut rings that often include a halo of brilliant diamonds for an unmistakable sparkle. 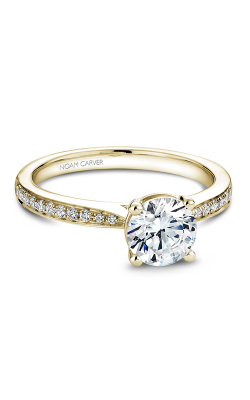 If youâ€™re looking for a splash of color in your round cut ring, the Roman and Jules Yellow Label collection is for your. Featuring dazzling white and yellow side stones and a gorgeous yellow center diamonds, this collection is meant to be shown off. To find intricately designed and dramatic Round Cut Engagement Rings, narrow your search to S Kashi and Sons Vintage collection. These heirloom-quality rings possess a classic and refined feel. 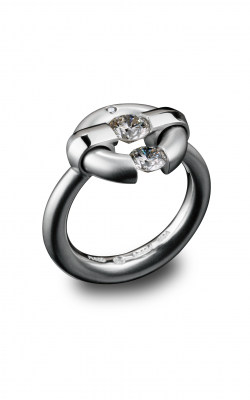 Steven Kretchmerâ€™s Tension collection features diamond stones that are set in place by the strength of the tension setting itself, thatâ€™s considered a durable and unique choice. For almost 80 years, MJ Christensen has provided the Las Vegas area with premier jewelry products and services. 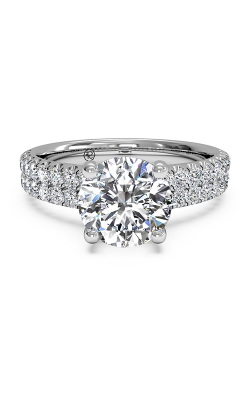 Located in the Boca Park Shopping Center, MJ Christensen offers customers an unforgettable shopping experience in their showroom stocked with engagement rings, wedding bands, Swiss watches, fashion jewelry, and more. 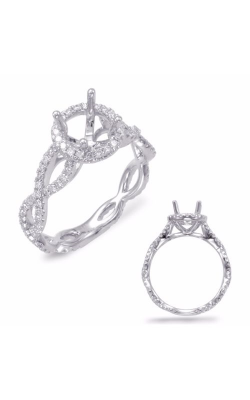 Find a fine and luxurious selection of top name brands including Hearts On Fire, Lashbrook, Dog Fever, CrownRing, and more. If you need a custom design, repair, appraisal, or jewelry warranties, MJ Christensen has got you covered. 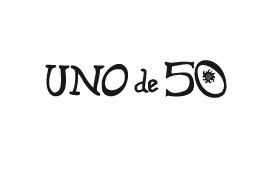 To find out more about any product or service, contact MJ Christensenâ€™s showroom at (702)-952-2300.